Tom really enjoyed taking the official photographs at Miss Esther and Mr. Stephen's wedding. He particularly wants to share some of his favourite close up shots here with our visitors! Tom really enjoyed taking this photo of Percy the Spider complete in his web! 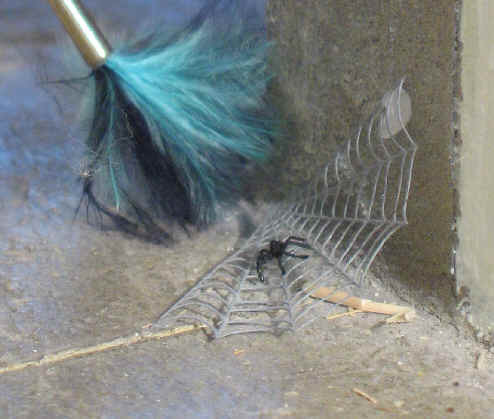 You can even see WHY poor Priscilla Jane was so anxious to be able to sweep the web up too because there was some straw on the floor left over from the hale bales used for their Harvest Festival service. She wanted Miss Esther and Mr. Stephen to have a really clean church without anything left over from Harvest. 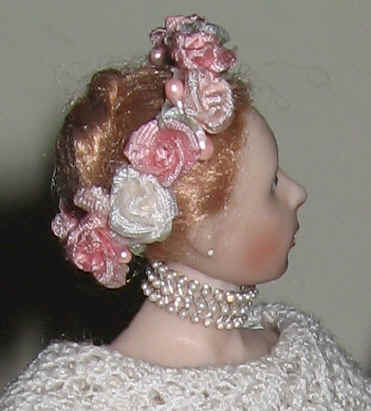 Tom was completely spell bound by Miss Esther's beautiful pearl choker. He just HAD to take a close up picture of it and Miss Esther was only too happy to oblige! 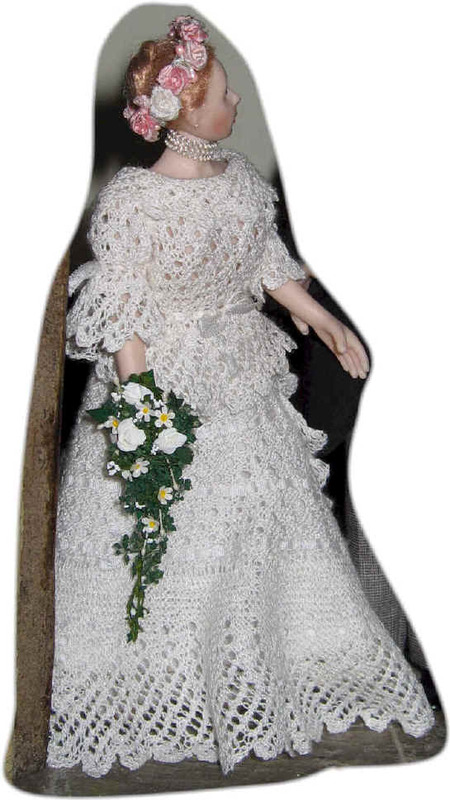 Tom adored Miss Esther's wedding dress too and you can see the knitted silk work so much better close up. Well done Tom - a very good photograph well taken! Tom enjoyed creeping up behind Miss Esther and Mr. Stephen and taking a photo as they stood at the altar. 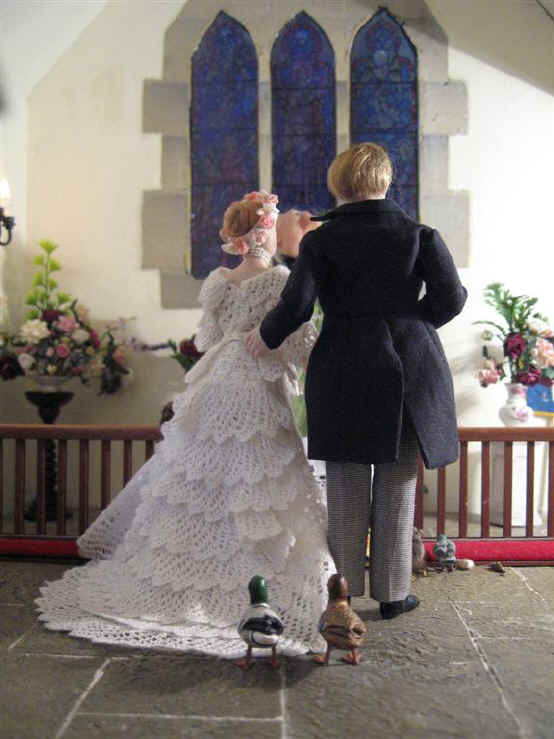 Esme and Ernest, the pair of Mallard ducks, decided to process down with the bride and groom to be blessed too!